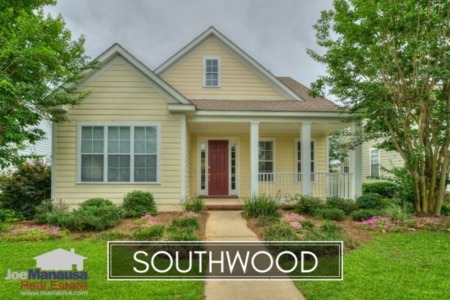 Pebble Brooke is a popular SE Tallahassee neighborhood that is located just North of Tram Road and is less than 10 minutes away from Southwood Town Center to its East and downtown Tallahassee to its North. If you want to buy a brand new home and spend just $150K, this might be the very last chance ever in Tallahassee. Private schools nearby include: MLC Christian Academy, Sakkara Youth Institute, and Ecclesia Christian Academy. Average home prices in Pebble Brooke are moving higher, having finally ticked up above $150K. Activity in Pebble Brooke continues to be very strong. 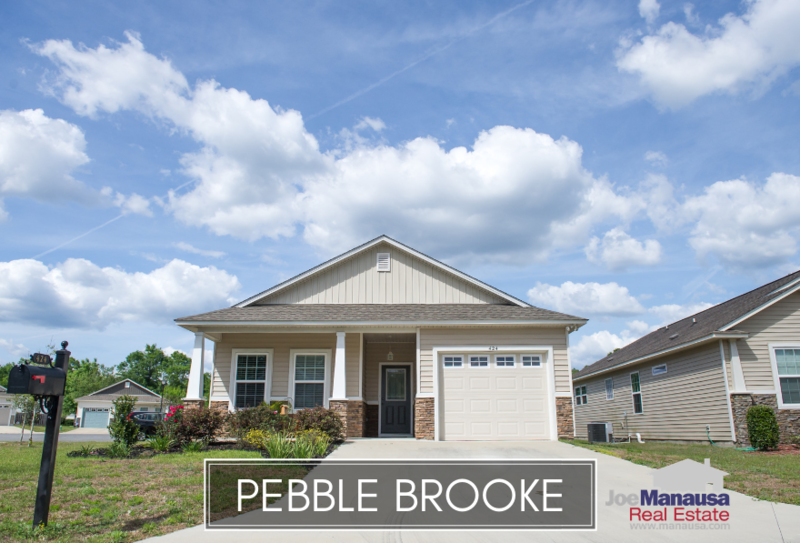 Currently, there are 7 homes for sale in Pebble Brooke and 4 are already under contract. Home values have been moving higher in Pebble Brooke and have reached an average of $118 per square foot, which is more than 5% higher than last year's average. Pebble Brooke remains an incredible value, and buyers today will be rewarded with significant appreciation over the next ten years as inventories decline and construction costs rise. The average agent in Tallahassee sells 6 homes per year. 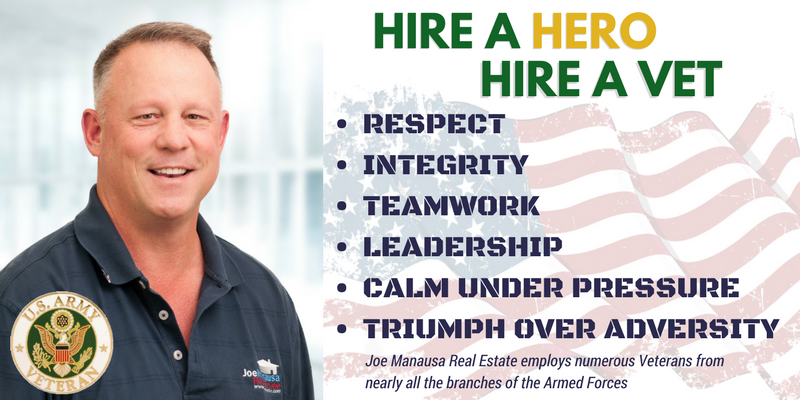 Joe and his team (led by military Veterans) are on track to sell 600 homes this year. Don't you want that kind of dedicated commitment working for you? The average home size in Pebble Brooke typically falls within the tight range of 1,200 to 1,400 square feet, and 2018 has been no different. With 12 homes sold and closed thus far in 2018, the average home size as been 1,270 square feet. 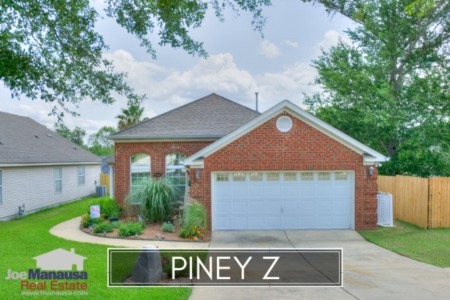 The following list shows all home sales in Pebble Brooke, going back to 2007, the first year that sales began in this popular SE Tallahassee neighborhood. You can sort the list by clicking on any column heading that you desire. This concludes our November 2018 update on home sales in Pebble Brooke, please give us a call at (850) 366-8917 or drop us a note if you have questions not covered in this report. Who have recent home sellers and home buyers named the top agent in the Tallahassee real estate market? Here's what people are saying about working with Joe Manausa Real Estate, you can see thousands of real customer reviews reported on Google, Facebook and Zillow right here: http://www.manausa.com/testimonials. Join 1000's of other subscribers that receive updates each day that we publish a new article. Filled with homes for sale, neighborhood analyses, and all the information home sellers and buyers need to make an informed decision. Just tell us who you are and where you'd like us to send new updates.